We are pleased to announce that My Private Network, a VPN startup based in Hong Kong, has become part of our Le VPN family. The integration of all My Private Network clients started this week and is scheduled to complete on January 24th. The final step of this merger will be effective as of February 1 of this year, when My Private Network ceases its operations and client support. Since the very beginning of Le VPN journey in 2010, we have been working hard to take our VPN services to the next level. In addition to becoming a globally recognized leading company in virtual private networks, we have managed to offer an effective, secure product that exceeds expectations of our users. With today’s integration of My Private Network’s clients into Le VPN, we are very happy to take another big step forward in the world of VPNs. Ksenia Votinova, co-founder of Le VPN, highlighted the great enthusiasm with which Le VPN welcomes the users of My Private Network. On the other hand, the founder and Managing Director of My Private Network, Jon Gittoes, explained why he made the decision to merge with Le VPN. The founder said that during the last few years they have not had the expected success, which led to a decrease in investment in infrastructure and product development. After detailed research, he considered that Le VPN would be the best option for many reasons. 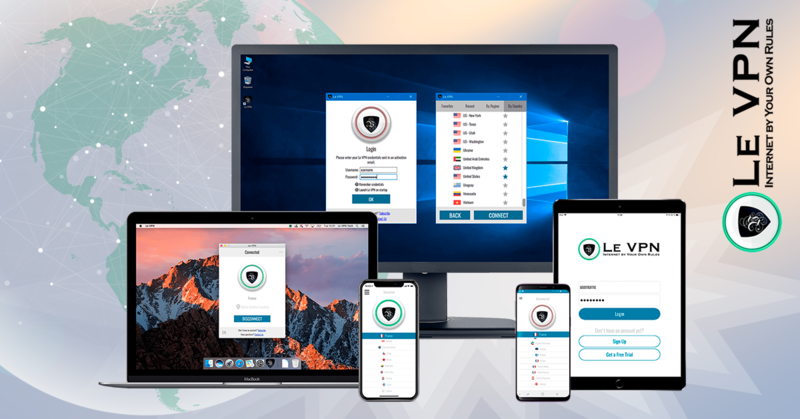 The right size: While Le VPN is considerably larger than us, this is still a significant opportunity for them and therefore they are 100% committed to making the transition work. Europe focused: They have a European management team with the same goals and business values as our own. Trustworthy: The same rigorous approach to security and privacy. Le VPN team has been working for eight years without rest. The result is reflected in the products that are developed and upgraded on sometimes a daily basis. Software and applications for all devices and equipment, excellent customer support in five European languages and the peace of mind in terms of privacy and no-log policy – these are just some of the things that make us proud. HybridVPN DNS, and much more. As if all this were not enough, Le VPN has the best value for money pricing in the market. Le VPN plans start from only $ 4.95 per month for annual subscriptions. Our team extends a warm welcome to all new users from My Private Network! We hope you will enjoy using Le VPN service! Our team does its utmost best for the most smooth integration of all My Private Networks users, and we really appreciate your patience if some things are not as smooth as expected! Please contact our Support team if you need any help and they’ll be happy to assist! We are here to help you 24/7 and will do our best to keep you happy!